If you are in the market for new double glazing for your Norfolk home, look no further than Windows Plus. Our beautiful French windows give the very best in performance and offer unbelievable aesthetics. These windows deliver sensational security, thermal efficiency and durability. These beautiful French windows are an ideal feature for any home. At Windows Plus we are dedicated to supporting only the absolute best products and installation services in Norfolk. Our entire installation team are fully FENSA approved, so you can be sure that our company conforms to the highest possible standards. We promise a clean and efficient installation for your French windows that will cause minimal disruption to your daily life. Read on to find out more about our French windows in Norfolk, and the ways in which they will improve your home. Our French windows are the ideal way to add a touch of European style to your Norfolk home. Featuring a flying mullion, when open, these windows transform into a wide open space to allow for superior ventilation. 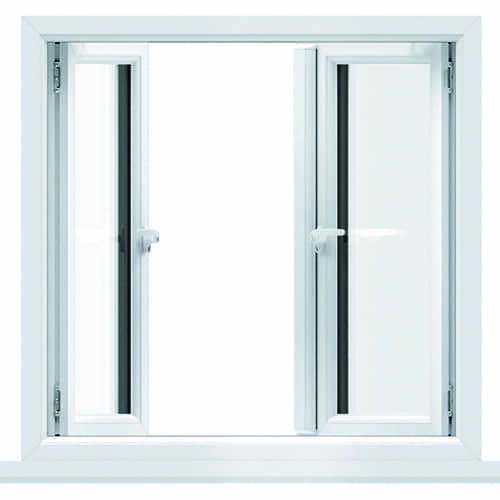 Practical as well as stylish, these windows are part B compliant and open wide enough to be utilised as a fire egress in the case of an emergency. Our French windows feature an incredible 90 degree opening and are specifically tailored to allow a lot of natural light into your home. Natural light is an easy and effective way to create the illusion of space in your Norfolk home. There is no central bar to block your views and you’ll benefit from incredible sightlines, allowing you to enjoy beautiful Norfolk vistas completely unobstructed. 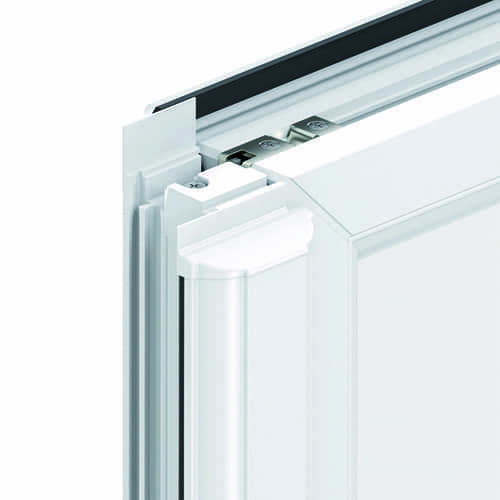 We use a top of the range Liniar profile in all of our uPVC double glazing. These multi-chambered profiles are specifically engineered for your French windows to refrain from heat loss. This means your Norfolk home is kept warm and comfortable, even in the coldest winter months. These windows retain heat incredibly well. As an effect, you may rely less on your central heating system, which could save substantial sums almost immediately on your energy bills. Built for performance as well as looks, these French windows are a great money saving investment in the long term. We only use the most environmentally sustainable materials in our double glazing. These French windows are 100% lead free and 100% recyclable, as we consider sustainability in all practices and products. Let our beautiful Norfolk French windows reduce your carbon emissions and make your home more environmentally sustainable today! In addition to incredible thermal efficiency, the Liniar uPVC profile features internal reinforcing, making our French windows incredibly sturdy. With no need for additional steel reinforcing, our French windows will stand up incredibly well against any physical attack. A robust and secure option ideal to keep your Norfolk home protected. To add a further layer of security to our windows, we fit them with top of the range Yale multi-point locking systems. A household name in Norfolk and the rest of the world, Yale locks are the absolute ultimate in security. All of our products have been tested and accredited by the metropolitan police’s Secured by Design initiative. This means they have undergone meticulous and rigorous crime prevention testing to ensure that they cannot be breached by would-be intruders. Our French windows are designed to offer you incredible peace of mind. At Windows Plus, we are confident that we have a French window to suit any home in Norfolk. Whether your home is distinctly traditional, or a more modern space, our beautiful windows can be customised to complement your home perfectly. We offer a range of decorative and ornamental hardware options, as well as decorative glazing. Fabricate a style that is truly bespoke for your home. If you would like to find out more about our beautiful French windows in Norfolk, please do not hesitate to get in touch with us. A member of our friendly and highly skilled team will be with you as quickly as possible to discuss our products, answer your queries and provide you with any supplementary information you may need. Alternatively, if you would simply prefer a free and instant quote for one of our products, please use our online quoting engine. We will have your quote ready in no time and will offer you a highly competitive price, tailored to your exact specifications. When you use our quoting system, you are not put under any obligation to buy. Are you in the market for replacement double glazing for your Norwich home? Would you like to give your property a touch of European style? At Windows Plus, we have a range of beautiful French windows that will enhance any residence. Our windows retain the absolute best performance as well as aesthetics. They offer unparalleled security, thermal efficiency and durability while being incredibly aesthetically pleasing. Windows Plus is confident that these French windows are the ideal choice for any Norwich home. At Windows Plus, we are committed to delivering the absolute best products and installation services in the Norwich double glazing industry. Our professional team of experts are FENSA approved, and our company assure its customers of the highest standards. Our installations are clean and efficient when we install your French windows, meaning you’ll experience minimal disruption to your home. We have composed this handy guide to tell you all about our French windows and the ways in which they are designed to enhance your home. Our French windows are an easy way to bring some continental flair to your Norwich property. They feature a flying mullion which means that, when open, these windows are transformed into a vast open space to allow for incredible ventilation. 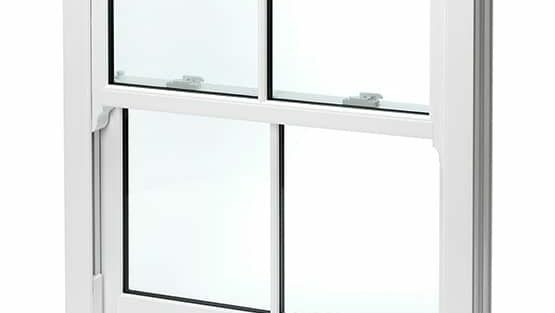 As practical as they are stylish, these windows are fully Part B compliant and can open wide enough to be utilised as a fire egress in the unfortunate case of an emergency. These windows open to an incredible 90 degrees, which means they flood your home with natural light. Natural light is an easy and free way to create the illusion of space for your Norfolk home and to tastefully illuminate your furnishings. The lack of a central bar to obstruct your views means that these French windows deliver extremely slim sightlines to enjoy panoramic views of your Norwich property. Our French windows are made with top of the range Liniar profile for achieving incredible thermal efficiency. They make use of innovative multi-chambered profiles, which are specially engineered to stop your French windows losing heat. This means that your Norwich home remains comfortable and warm all year around. As your home can retain heat so well, you will find yourself relying significantly less on your central heating system. As such, you will start to see substantial savings on your energy bills right away. With their incredible thermal performance and incredible durability, these French windows are an amazing money saving investment. Our incredible French windows are certain to reduce your carbon emissions, and there’s never been a better time to make your Norwich home more thermally efficient! Environmentally sustainable materials forms our double glazing, which is why you can be confident in the sustainability of our products and practices. Our windows are 100% recyclable, and 100% lead-free. Windows Plus’ French windows are also immensely secure. Their Liniar uPVC profile contains interior reinforcing, which means they are totally sturdy even without additional steel reinforcements. Our French windows guarantee to stand up incredibly well under sustained physical attack. To supplement this, we fit our French doors with top of the range Yale multi-point locking systems. The name Yale is known the world over for their unbeatable locking systems and carries an excellent reputation for safety. Put your mind at ease knowing that your Norwich home is impenetrable, even for the most tenacious of intruders. All of our products have met the criteria necessary to achieve Secured by Design accreditation. This coveted status means that our French windows have undergone the most rigorous crime prevention testing and have proved to be incredibly stable. Let our French windows bring you peace of mind. If you have any questions and would like to speak to one of our experienced and professional team members, please do not hesitate to get in touch with us. Our team of experts are happy to help and will answer all of your queries, discuss any of our product range and provide you with any extra information you might want. At Windows Plus we are dedicated to giving you a helping hand the whole way through your home improvements. Alternatively, if you would prefer a free and instant quote for our windows, or any of our other double glazing, please use our online quoting engine. We will have a quote ready for you within minutes, boasting a competitive price and tailored completely to your specifications. When you use our quoting engine it is not binding and you are not obligated to buy. Sash Windows are both a stylish and refreshing home improvement for Norwich homes. Have the choice of a traditional look to complement the features of your home, or ease towards a contemporary style that adapts qualities from period households and brings them up to date. Our amazing selection of sash windows is truly remarkable, so why not have your say on which windows you want for your home by contacting us or filling out a quote today. This guide is here to supply you with all the details you need to consider when approaching a decision. Modify every single aspect of your new home improvement, from customised colour finishes to various glass patterns. The benefit of having so much choice is that you can tailor your windows to your actual specifications rather than settle for second best. Our sash windows are absolutely second to none, given that every product is custom tailored with the very latest technology and innovations in the double glazing industry. Our Sash Windows profiles are all produced by award-winning double glazing manufacturers Quickslide. Manufactured in Britain, employees take their time with all profiling, which ensures you as customers feel treated to the finest quality in uPVC engineering. The British manufacturer is completely confident about product design, as these sash windows suffer no risk of warping or rusting. Sash windows have been developed to provide exceptional rigidity, whereas before old timber windows were the only choice. We take pride in being able to supply phenomenal profiles by Quickslide to our customers. Our uPVC windows come with an easy clean tilt facility with quick release tilt arms, which allows both top and bottom sash to tilt inwards to be cleaned. These sash windows are completely strong-holding, and very attractive. At Windows Plus our windows are A-energy rated as standard, ensuring energy efficiency and product quality. In accordance with research, glass specification is the most significant component in regards to the windows overall thermal efficiency. Therefore our uPVC sash windows contain 24mm double glazed units incorporating Edgetech’s TruePlas spacer bar for stability and strength. With this added initiative, you are effectively saving energy and the cost of your energy bills. They also feature highly compact weather seals to prevent bad weather from getting into your home. At Windows Plus we help you find the perfect sash windows with the correct hardware and accessories to supplement the character of your property, enhancing its charm. We offer a fantastic collection of more than 200 ‘RAL’ colours for your new sash windows. That is if our nine standard colours from smooth white to 8 woodgrain options are not to your first liking. We make sure that you can design the perfect sash windows to match your personality. Under new legislation set by Building Regulations, it is necessary to replace trickle vents if one has already existed in its location before. If this is the case, we offer that exact replacement. There are great designs to choose from, including the uPVC sash window, a modern alternative to sash horn windows. These vertical sliding windows provide suitable matches to a traditional looking home with our graceful uPVC sliding technology. This a modern, classic choice with its high security performance, adding options for restrictors. You may prefer to have the option to install plant-on horns, which helps achieve an authentic look, while undergoing the latest upgrades and innovations. Optional features include gorgeous Georgian bars, a heritage lock and a seamless weld available on woodgrain windows. We know that keeping your home in Norwich protected is number one priority, but not always possible to do due to soaring prices, which is why as a supplier, we offer a wide range of sash windows across all budgets. Start your new home improvements by visiting our online quoting engine, or if you would prefer, contact us and one of our team will be there to help. Refurbish your Norfolk home with sash windows by Windows Plus, who lead by example in double glazing. They have an authentic, traditional aesthetic range, able to complement the themes of homes in Norfolk. Sash windows are state of the art, installed into Norfolk homes with high quality double glazing. Read our guide on uPVC windows and see how your Norfolk home can benefit. Our sash windows accommodate a complex design to protect homes in Norfolk from the elements. Low-level PCE gaskets ensure that the weather doesn’t breakthrough, whilst maintaining aesthetic appeal. These sash windows excel in energy efficiency, surpassing regular building requirements. Our windows score an Energy Rating of A, ensuring superb thermal performance to maintain the warmth of your Norfolk property. Our windows make the perfect replacement for old and tired timber frames. Pick from our vast selection of stylish windows, which promises to have something for everyone. We can even help retain traditional looks. We supply a selection of hardware and accessories that will complement the heritage style of your home. Sash Windows from Windows Plus are beautifully built to create a stunning replica of your original glazing, which includes an option of a fine finish for exceptional style. Protecting your home against potential intruders is a vital function of any opening in your property. With our windows, you can count on fantastic security performance. Each window features the very best materials, making them strong and robust. They come fitted with precision-engineered locking catches to protect your property. We make no exception to the way we treat our customers to our products, which either emulate past-period features or modern style architecture. Your family should be safe from harm when a property has been fitted with state of the art sash windows by us. When we fit windows to properties in Norfolk, we provide a number of advanced hardware and accessories options to ensure the ultimate safety standards are met. Choose to have child/travel restraints fitted to your windows that may only be opened at a safe distance. This feature is not only great for protecting minors, but it also adds to the security performance of the windows. Why not imagine being able to clean your upstairs clean windows as never before. 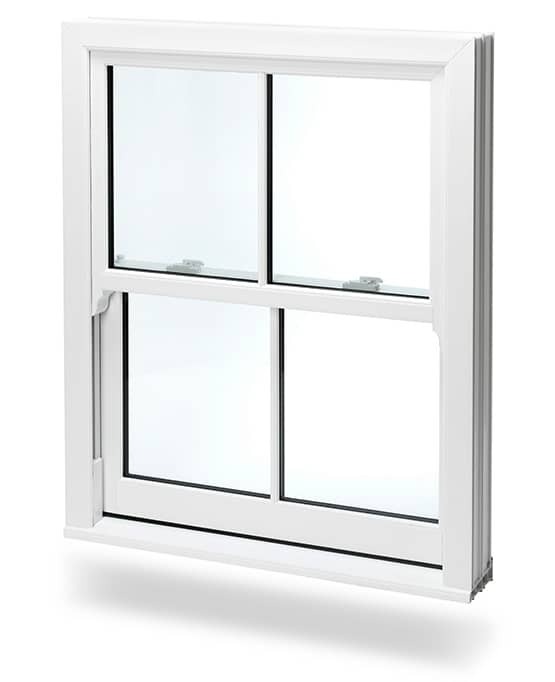 These windows incorporate a tilt function which enables the upper sash to tilt inwards, ensuring you have easy access to cleaning as well as safe ventilation. When it comes to keeping young family members and pets safe, our sash windows are the ideal improvement for your Norfolk home. Our windows perform great to maintain that traditional gliding action whilst operating under contemporary technology. Most wooden windows struggle in this department to look and feel great, however, our uPVC windows come with cutting edge spring balances, which work to calibrate the window’s weight distribution. All of our designs promise outstanding long-term performance. They also are low maintenance, an added bonus for your Norfolk property. Windows are fit with all the beauty, style and action of heritage windows, but hidden inside is the very latest technology. Sash windows prices in Norfolk are amazingly good value for money when you choose Windows Plus as your installer. Get a free, personal quote with our online quoting engine. It’s so easy and efficient. Or contact us for more information on our wide selection of windows. Double glazing prices can suit any Norwich homeowner’s budget when you choose Windows Plus (UK) as your double glazing installer. Our cost effective range of double glazing let’s our customers achieve improved efficiency and security for their Norwich home as well as adding style and beauty, giving a lovely fresh appearance. We offer a huge range of products, so you are sure to find double glazing prices and styles to suit your home improvements budget. Whether you are looking for windows or doors, uPVC or aluminium, Windows Plus (UK) can help you find the perfect match for your property. Read on to find out why our double glazing prices offer so much value for money when it comes to your Norwich home improvements. You can improve the efficiency of your home simply and effectively by replacing your old, tired double glazing with modern windows and doors. Whether you choose aluminium double glazing from our selection of windows, or our Quick Slide bi-fold doors, or you choose uPVC windows and doors from our superb variety of Liniar double glazing, you will benefit from the most impressive thermal performance. Our double glazing prices are made even more cost effective by the money saving qualities new windows and doors provide. Our uPVC collection is so thermally efficient that it has a Windows Energy Rating of A+, but whichever range you choose, you will benefit from a warmer home where you will need to use less heating and as such, lower energy bills. Your Norwich home needs to be safe and secure, protected against unwanted intruders. With older double glazing, whether uPVC or timber, it can become weak and brittle, allowing easy access. When you opt for new windows and doors, at our superb double glazing prices, you will benefit from the very best security available, keeping your home and family safe. Our aluminium double glazing simply excels when it comes to security, thanks to the natural strength of aluminium which makes it almost unbreakable. This is supported by state of the art locking mechanisms, so that your home is thoroughly protected. uPVC windows and doors are no less secure, as the Liniar range is fabricated with internal reinforcements to make sure it is robust and rigid. Our Liniar collection comes fitted with impressive Yale locking systems as standard. These world class locks are renowned for being virtually impenetrable. Whichever option you choose, you can count on double glazing prices that won’t empty your pocket, much like our windows and doors won’t let burglars empty your property! Norwich homes will be secure and protected with double glazing from Windows Plus (UK). Whatever your budget, our double glazing prices can be tailored to meet your requirements. There are so many options available, from affordable styles with natural finishes that will keep your costs low, to traditional options that will enhance the period features of your home at great prices. Take a look at our summaries below! The uPVC windows and doors we install are manufactured by Liniar to the highest standards, yet you will benefit from low double glazing prices. Every option can be tailored to meet your specific needs, from our affordable casement windows in standard white finish through to our luxury bi-fold doors customised with colours and hardware. The options are so extensive that every home improvements budget can be met. Our range of styles is extensive, and the optional enhancements are available on the complete collection. Choose from stunning yet quintessentially British colour finishes, natural and authentic woodgrain effects, decorative glazing to add style and hardware and accessories to complete the look you desire. With so many options to tailor your new windows and doors, you can count on double glazing prices that will suit you. With our range of aluminium windows and our aluminium bi-fold doors, there are so many brilliant features that can customise your double glazing. Aluminium is one of the best options for double glazing prices as it is so sustainable, lasting for many, many years and never discolouring or rotting away. Aluminium won’t become brittle or warped, it is a natural option that provides the best long term performance. Our aluminium double glazing prices will depend on the options you choose, but you will have the benefit of the most extensive range of colour finishes to enhance your property. Almost any colour you can think of is available for the frames on our aluminium double glazing. This has been a very brief overview of our double glazing range and the cost effective prices we offer. If you would like to find out more, please do get in touch and speak to our brilliant team, or visit our online calculator for double glazing prices based on your specifications. Composite doors offer the most impressive entrance to your Norwich home. The exquisite style combined with the superior performance make these doors the must-have home improvements in 2017. Our composite doors excel in all areas, from security to thermal performance to style. You will benefit from a wonderfully welcoming yet extremely secure entrance to your property. They are also fantastically hard wearing, making them a superb investment. Add curb appeal to your home with our impeccable composite doors! Want to know more? Read our guide to composite doors in Norwich and see the benefits that these stunning doors offer your home. Composite doors offer Norwich homes a level of style that no other front doors can match. These superior doors have all the beauty and elegance of timber doors, yet none of the difficulties that you associate with wood. There is no sanding, painting and varnishing, in fact, the only maintenance you will ever need to do is keep them clean. They are also far superior for thermal and security performance! Our composite doors come in a range of stylish designs, so no matter whether you have a traditional home or a new build, there is sure to be a match for your property. They can then be tailored with a variety of lovely colours and beautiful decorative glazing. You are even invited to choose from a range of hardware options and accessories to ensure that every detail of your new front door is exactly as you imagined it to be. Our composite doors are a spectacular design for your Norwich home. We have already mentioned that our composite doors have all the beauty of wood, but that is where the similarity ends. They are constructed using a rigid polymer subframe covered in a hard wearing and durable glass reinforced plastic skin. 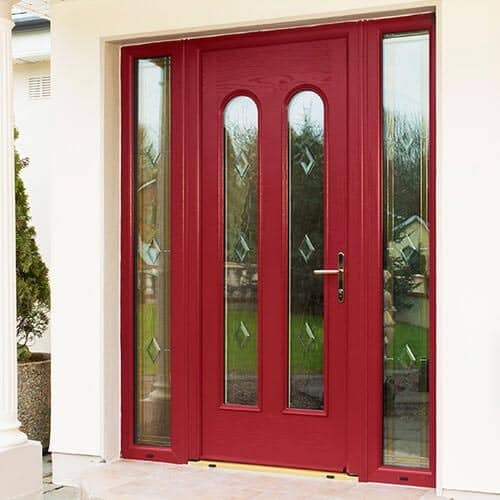 One of the benefits of this design is that our composite doors are highly energy efficient. In fact, they offer up to six times the level of insulation that you would get from a timber door, making them a far superior alternative. With composite doors in Norwich, your home will be warmer for longer, enabling you to use less heating, which will result in savings on your energy bills. Just one of the countless cost effective benefits that our composite doors offer for your home. With any entrance to your home, it is vital that it offers exceptional security, keeping you and your family safe and secure. With composite doors from Windows Plus (UK), you will benefit from the most impressive levels of security. The clever construction which we talked about earlier, not only offers great insulation, but it also makes these front doors almost indestructible. We then fit each door with high security locking systems to ensure ultimate protection. Our composite doors in Norwich are so incredibly secure that they have even achieved the highly regarded Secured by Design accreditation. This means that they come up to the police preferred standards and have been rigorously tested to ensure they can withstand even the most determined potential intruders. You can have complete peace of mind that your Norwich home and family are thoroughly protected when you choose our composite doors. Our composite doors have been specifically designed to offer complete protection against the turbulent British weather. No matter if your home is battered with torrential rain, gale force winds or bitter cold, our composite doors will keep you safe, dry and draught-free within your property. The beautiful design you choose will never warp, rot or fade, no matter what the weather does to it. These doors are designed to be a long term home improvement, making them a fantastic investment for your property upgrades. Choosing composite doors for your Norwich home couldn’t be easier, and our composite doors prices are fantastic too, making it a great home improvement option. 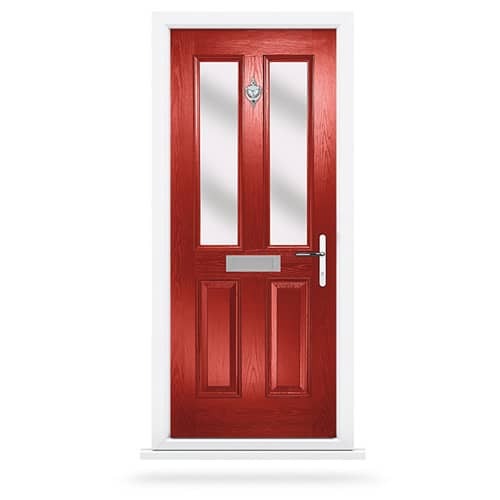 You can get instant composite doors prices with our online door designer. Simply use our system to create the front door of your dreams and adjust it with the options available to design a door that reflects your personality and style, as well as your budget. You can also get composite doors prices for your Norwich property upgrades from our friendly team. Get in touch, and we will help you find the perfect match for your home and give you a guide price tailored to your specifications. 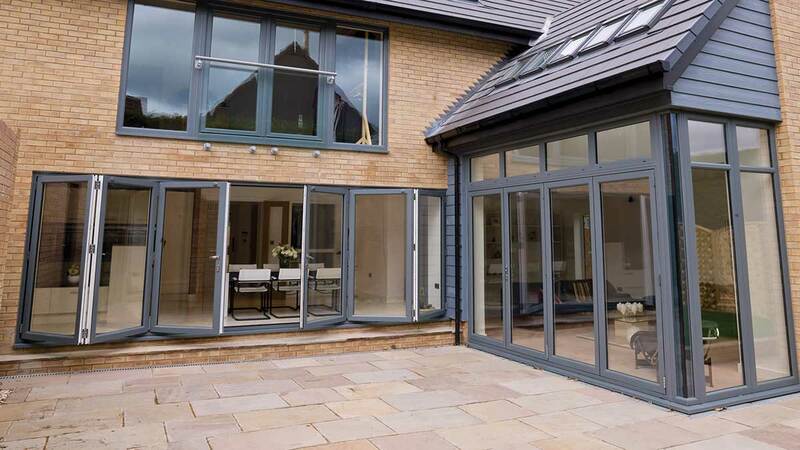 Aluminium bi-fold doors are an amazing feature to have in your Norfolk home. They not only create the most impressive visual impact, but they are also high performance, ensuring your home achieves its full potential. With aluminium bi-fold doors from our range at Windows Plus (UK) Ltd, you will benefit from the most incredible quality combined with expert installation for the perfect fit. Our aluminium bi-fold doors will protect your home from the cold, potential intruders and turbulent weather, ensuring that you are comfortable and secure. Read our guide to aluminium bi-fold doors in Norfolk and discover the benefits and features they offer for your home improvements. When choosing any home improvements in Norfolk, it’s important that they complement the style of your property and that they enhance it’s appearance. With our aluminium bi-fold doors you get a variety of customisation options that make your new sliding doors the perfect match for your property and your tastes. Whatever space you have available, our aluminium bi-fold doors will be able to fit as they come in a range of sizes with a choice of panel numbers, so that you can achieve the look and style that suits you best. In addition to this, our aluminium bi-fold doors can be adapted with a variety of configuration options. They can open from left to right, vice versa, or from somewhere in the middle. It’s up to you to find the ideal opening configuration that will work for your space and your usage. Finally, with our aluminium bi-fold doors, you can create a look that completely reflects your personality and your Southampton home’s style. We offer a superb range of colour finishes that will enhance the beauty of your new folding doors. Whether your preference is for bright, bold colours, or traditional, muted shades, our aluminium bi-fold doors can be tailored to suit you. See our range of stunning colours for inspiration. Double glazing technology has developed extensively since the early days of aluminium bi-fold doors, and our state of the art folding doors incorporate the very latest innovations to ensure maximum performance for your Southampton home. Our aluminium bi-fold doors are constructed with a polyamide thermally broken frame which creates a thermal barrier to ensure superb energy efficiency. When we install our aluminium bi-fold doors into your Southampton home, you are sure to feel the benefits of this technology almost immediately, however, the true evidence will come from your energy bills, as with our aluminium bi-fold doors, your home will be so much warmer that you could find you need to use less heating which of course will result in reduced heating bills. Our aluminium bi-fold doors are a cost effective Southampton home improvement in many ways, and their energy efficiency is just one aspect. Home security is an important consideration with any Southampton home improvements, and with our aluminium bi-fold doors, you will benefit from the most outstanding protection. The aluminium frame is naturally strong and robust, making it almost impossible to break. We then use stainless steel hardware and anti-snap lock cylinders to ensure that your aluminium bi-fold doors provide the very highest levels of security. You can be confident that your family and Southampton home are completely protected when you choose our incredible aluminium bi-fold doors. Aluminium bi-fold doors do not only transform your home, but they could transform your experience of it too, giving you a wonderful new lifestyle. Our aluminium bi-fold doors are available with a variety of low threshold options, which ensure you have seamless access to your outside space. In fact, our ultralow option gives such smooth entry, it is the ideal choice for wheelchair users and is compliant with Building Regulations for accessibility. This connection between home and garden enables you to experience your Southampton property in new and unique ways as you will benefit from one extended living space. Perfect for summer barbeques and autumn gatherings. Even if you prefer the solitude of your garden, the easy access and stunning wall of glass will enable you to enjoy your home like never before. Our team are ready to help you with your aluminium bi-fold doors in Southampton, so please do get in touch. We will assist you with finding the perfect aluminium bi-fold door to suit your home and your budget. Our prices offer fantastic value for money and are highly competitive. We even offer instant online quotes so that you can start your Southampton home improvements when it suits you, night or day! Aluminium doors will completely transform your Norwich home, creating a whole new living space for you to enjoy. Your experience of your property and the way you use it will be enhanced, but this isn’t the only spectacular feature of our aluminium doors. Your Norwich home will benefit from superb security, incredible efficiency and a wonderfully stylish feature entrance that will be the focal point of your property. Aluminium doors are truly spectacular and will really improve your home in countless ways. Here at Windows Plus (UK) Ltd, we specialise in a variety of double glazing options, and our aluminium doors are one of our most sought after home improvements in Norwich. Aluminium doors are a stylish choice for your Norwich home. They have slimline frames that enhance the viewing area, and they can be opened wide to create a seamless and completely uninterrupted entrance that will combine your indoor and outdoor living spaces. Our aluminium doors can be customised in a huge variety of colours, giving you a wealth of choice when it comes to finding the right look for your Norwich home. Whether you want bold and bright to create a focal point or something more subtle and traditional that will blend in with the aesthetics of your home, we have the right shade for you. When you choose aluminium doors in Norwich from Windows Plus (UK) Ltd, you will benefit from a choice of configuration options too, ensuring that the new aluminium doors we install are the perfect match for your needs and your tastes. Aluminium doors are a truly tailored option for the entrance to your Norwich garden or patio. One of the greatest features of choosing aluminium doors, is their robust and durable nature. With aluminium, you are getting a product that is naturally strong, this makes it the ideal material for creating secure and long lasting double glazed doors. Our aluminium doors are designed to offer many years of superb performance, and will never warp or rot. In addition to that, the colour finishes we use are of such high quality that they will never fade, peel or blister, ensuring that your new aluminium doors look brilliant year after year. 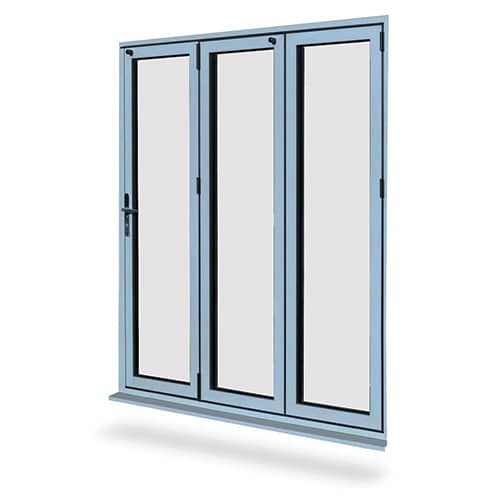 As we have already mentioned, aluminium doors have a natural strength to them. This ensures that they are almost impossible to break into and will offer an almost indestructible frame for your new entrance. We then install state of the art, high security locking mechanisms into our aluminium doors that are Secured by Design accredited, to ensure that your Norwich home is thoroughly protected. With our aluminium doors, you will benefit from super security, giving you peace of mind that your home and family are safe and secure. Aluminium doors once had a reputation for poor thermal performance, however, our modern aluminium doors are exceptionally energy efficient, enabling you to enjoy a warmer home for longer. Aluminium doors are a spectacular choice for thermal qualities, as they have an exceptional design which creates a polyamide thermal barrier, protecting your home from the cold and trapping heat within its walls. You could even find that with our aluminium doors, your EPC rating is enhanced, adding value to your home. 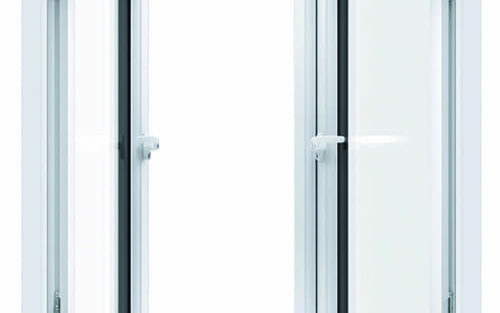 Windows Plus (UK) Ltd are incredibly proud of the energy efficiency our aluminium doors offer. Aluminium doors are one of the most environmentally friendly home improvements that you can choose for your Norwich property. Aluminium is not only hard wearing and long lasting, it is also endlessly recyclable and no matter how many times it’s re-purposed, it will still provide the same level of strength, performance and beauty. You can be confident that with aluminium doors, you are doing your bit for the environment, as they are truly one of the most eco-friendly double glazing choices available. Aluminium doors are one of the most sought after home improvements, and we are sure that now you have read our blog, you can see why Norwich homeowners love them so much. They make spectacular home improvements, creating a stunning open plan living space that will enhance your Norwich property in simply amazing ways. Why not get in touch with our team to talk about your new aluminium doors? These stunning doors are an incredible home improvement option and offer exceptional value for money. We even offer an online quoting system so that you can get instant access to our aluminium doors prices in Norwich. Take a look and see how competitive our aluminium doors quotes are for your home improvements. When you’re looking for double glazing quotes in Norfolk, you need to consider actual price, long term savings and quality. With Windows Plus (UK) Ltd, you can be sure of all of these features being fantastic. Our double glazing quotes are competitive, offering affordable replacement double glazing for your home in Norfolk. Choose from a wealth of double glazing products to find the perfect match for your home and your budget. We pride ourselves on offering value for money, so our double glazing is outstanding, achieving the highest standards and all round quality performance. You can find out more about our double glazing quotes in Norfolk and the products we offer in our practical guide below. Getting a double glazing quote for you Norfolk home improvements needn’t be difficult. With Windows Plus (UK) Ltd, we like to be open about our double glazing prices, so we make it simple for you to get a personalised double glazing quote. We have an online double glazing quote calculator for instant quotes that are tailored to your requirements. Simply choose the elements that you want for your new double glazing, and our calculator will provide a great double glazing quote instantly. It’s so easy to use, and you can switch the options around until you get the perfect double glazing quote for your Norfolk home improvements. If you would prefer to talk to one of our team, we have experts on hand who can help you with your requirements and provide you a no obligation double glazing quote over the phone. Speak to our advisors who will discuss your needs and ideas with you for your Norfolk home improvements and then provide you with a unique double glazing quote. Windows Plus (UK) Ltd are pleased to be able to offer our Norfolk customers plenty of choice for their home improvements. Our replacement double glazing comes in uPVC and aluminium, enabling you to choose the right products for your Norfolk home and to find the right double glazing quotes for your budget. Every window and door in our range is superbly energy efficient. The Windows Energy Ratings are all superb, so you know you will get great thermal performance. Each product will protect your home from the cold outside and will ensure that your home retains heat, keeping it warmer for longer. The benefit of this of course, is that you will use less heating to maintain a comfortable temperature, and in turn, pay less for your energy bills. Just one of the many cost effective features of our double glazing! On top of this, your home will be protected from intruders too. Our uPVC windows and doors from Liniar are internally reinforced, and our aluminium windows and doors are inherently strong thanks to the indestructible aluminium material. We even offer superbly robust composite doors too! Every double glazing product is then fitted with state of the art high security locking systems, ensuring maximum protection for your Norfolk home. All these impressive benefits and yet still, our double glazing quotes are very reasonable! Just because our double glazing quotes are affordable, it doesn’t mean you miss out on a choice of styles. In fact, we offer a wealth of options, all of which can be tailored to suit your home and reflect your tastes! Our windows and doors are available in a variety of designs, providing you with options that will truly complement your home. Our aluminium double glazing is available in an extensive array of colour finishes for you to choose from. Our uPVC windows and doors can also be tailored, choose from a selection of colours and woodgrain foils. We provide a choice of plain glazing or decorative glazing, including privacy glass, so that your new double glazing can be used anywhere in your home. All of this is finished off with a superb range of hardware and accessory options. Whether your home is modern and new or traditional and charming, we are sure to have the perfect double glazing for you with double glazing quotes that will suit your pockets. Explore our website and see the double glazing we have on offer for your Norfolk home. Windows Plus (UK) Ltd are expert installers, and we will ensure that your double glazing will be installed into your home to the highest standards, ensuring that it will last for many years to come. We pride ourselves on our customer service, so please do get in touch for your Norfolk double glazing quotes. We are here to help you with your home improvements! You can also get your very own instant double glazing quote with our online quoting engine. Create your perfect windows and doors and our clever system will provide you with a personalised, competitive double glazing quote. Enhancing your Norfolk home has never been easier. With our fantastic double glazing prices and quality installations, you can benefit from enhanced efficiency, security and style in no time at all. 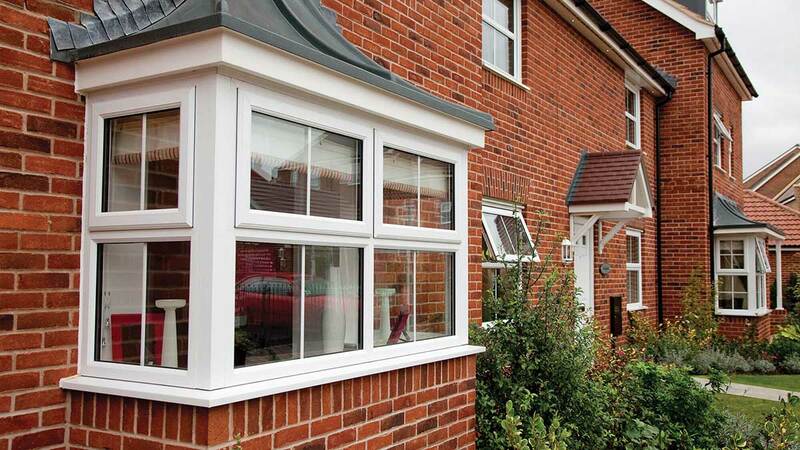 Here at Windows Plus (UK) Ltd, we specialise in cost effective double glazing prices for our Norfolk customers. Our range of double glazing is impressive, offering great choice for any budget, and our windows and doors are designed and constructed to the highest standards. Discover how you could improve your home and save money with our superb double glazing prices in Norfolk simply by choosing us for your home improvements. With any home improvement, you want to get the perfect style and finish to suit your property and your tastes. With our range of double glazing in Norfolk, you can benefit from fantastic choice and brilliant double glazing prices. We offer a variety of windows and doors so that you can find your perfect match. We’ve summarised them here to give you inspiration for your Norfolk home improvements and to help you find out the benefits and features of our fantastic double glazing. One of the most popular options that offers great double glazing prices, are our uPVC windows and doors. We work with a market leading uPVC manufacturer to give our customers the very best windows and doors. Liniar double glazing is constructed with an innovative and exclusive multi-chambered profile which works as an insulating barrier. Warm air is trapped within your home, enabling you to maintain a comfortable temperature using less heating, this in turn saves you money on your energy bills. The superior Liniar windows and doors are highly secure too, with internal reinforcing in the profile and every double glazing unit is fitted with high security Yale locking systems as standard. Your home will be protected from the elements and from intruders when you choose Liniar uPVC windows and doors. Our range of uPVC windows and doors also come with a variety of options for customisation. Choose a tasteful colour to complement your Norfolk home, or add decorative glazing for an eye catching look. Our uPVC double glazing can be tailored to completely reflect your tastes and your property. Windows Plus (UK) Ltd are able to provide Norfolk home owners with high quality composite doors. When it comes to double glazed doors, composite doors are truly in a class of their own. These spectacular doors provide outstanding performance, stunning looks and all for reasonable double glazing prices. You will benefit from incredible thermal performance, as our composite doors are designed to be superbly insulating. Your home will be kept warm and cosy, and with the unrivalled weatherproofing that composite doors offer, you will be completely protected from the elements too, no matter how harsh the British weather is. One of the key features of composite doors is their impressive standard of security. The solid core covered by a durable outer uPVC skin makes these doors exceptionally strong. This is combined with our state of the art locks to create a super secure double glazed door. With composite doors, the true beauty lies in the aesthetics. These stunning doors have an authentic timber appearance that can come in a wide variety of designs and colours. They require almost no maintenance, unlike the traditional wood door, they simply need the occasional clean to keep them in perfect condition. For contemporary style and an unrivalled range of colour finishes, nothing matches aluminium double glazing. These super aluminium windows and aluminium doors are designed to last, providing many years of outstanding performance. Every aluminium window and door we offer excels when it comes to security and on top of that, they are also superbly energy efficient. Our aluminium windows and doors are accredited by the British Kitemark for their fantastic weather resistance. You will benefit from impressive security as well as a draught free and warm home with our aluminium double glazing. Aluminium is one of the most durable materials for any double glazing style, and in fact, it can be endlessly recycled and repurposed without making it lose its beauty and strength, making aluminium a highly eco-friendly double glazing option. Our friendly team would love to hear from you if you have any questions or would like more information about our double glazing in Norfolk. We offer highly competitive double glazing prices to our Norfolk customers, enabling you to achieve a value for money home improvement. If you would like to get your tailored double glazing prices for your Norfolk home improvements, then you can contact us, or visit our online quote calculator for an instant double glazing quote. Enter your postcode to get directions to our showroom! Trading for over 20 years, Windows Plus UK Ltd is a friendly, family run business supplying and installing quality uPVC and aluminium double glazed products throughout Norwich and Norfolk. Our installers are fully trained and accredited to Fensa MTC standard. Get an instant online double glazing price with our window and door building software!